I’m running late today, but I do want to share my latest WIP with you. 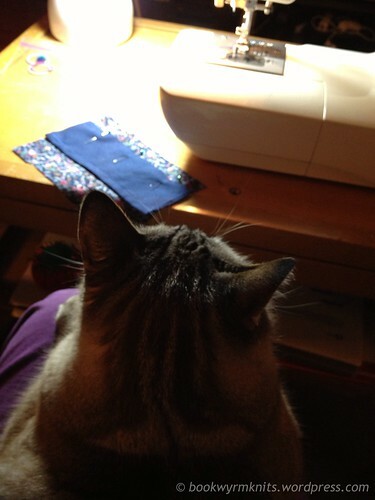 It’s a sewing project, and the pictures I’ll be posting today are of items that have been finished. 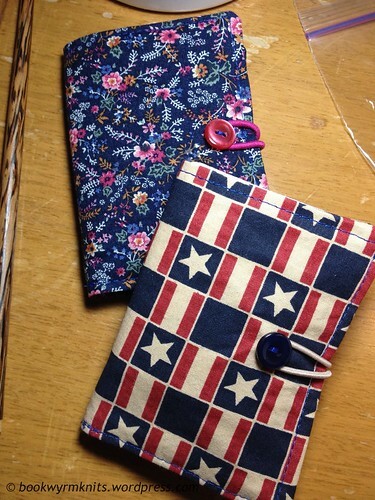 However, I am going to be making several more as gifts, so in my mind this project-as-a-whole is still a WIP. Therefore it counts. 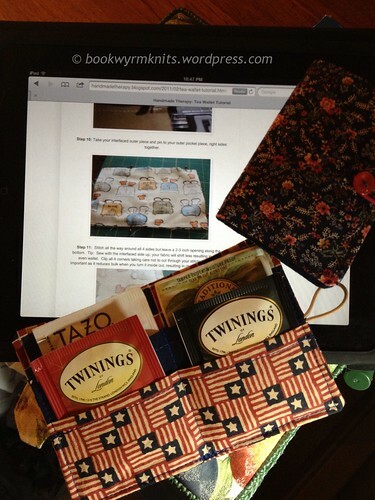 These are tea wallets, and I found the pattern here. I’m not going to detail how I made them — that’s what the linked tutorial is for. I’m just going to show you pictures of these. I have a total of four made (only two are shown) and I probably won’t be showing them off again on the blog until after Christmas, since that’s when I want them completed as gifts. Next Post ROW Update ~ Halfway there? 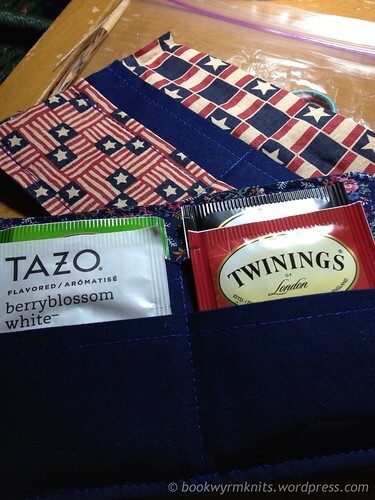 A tea wallet?! I’ve never heard of such a thing but what a cool idea! They are totally cute, I have made them for the girls in the office. Big hit!